Connecteur Super Zero Stonfo. 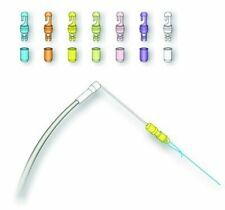 Pour connecter la ligne à l'élastique. Disponible en cinq couleurs : Rose, blanc, violet, vert et jaune. Balance à crabes et écrevisses en métal avec ressort porte appâts. 30 cm haut. 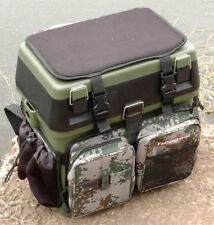 Transforms Daiwa Sea Seatbox or Green roving seatbox's to a rucksack. Placing the Sea Seat Box within this ruck convertor allows the seat box to be converted to a rucksack. Fishing mad. It is made from a heavy nylon and has 3 zipped pockets and 2 side pockets and also a comfortable 10mm seat pad built in to it. 24 x bas de ligne de 25cm. 72 x Bas De Ligne 15/20/25cm. 72 x Bas De Ligne. 24 x bas de ligne de 15cm. 24 x bas de ligne de 20cm. Nous ferons le mieux pour vous aider. Tout neuf et haute qualité. This also includes northern/southern Ireland,highlands,isle of wight etc. 2 target boards inc one tek-neek,2 x little Samson 4lb & 7lb scales. 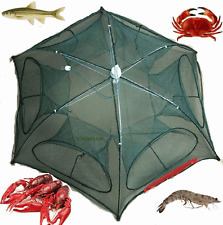 loads of accessories,fly fishing gear,seatboxs & luggage. Set of 4 TMC Coloured Mag Roller Slimline Wireless Bite Alarms Receiver Batteries Protective Case. Free Gift with every set of Bite Alarms . All Alarms are fitted with a 2.5mm Jack socket. Ranger le filet du fleuve lorsque beaucoup de poissons nage au-dessus de la trappe en filet. Grands pour pêcher l'éperlan, anguille, crabe, homard, poissons nageurs, crevettes et écrevisses. 1pc x filet de pêche. Maver Competition XL Flat Bed Roller. Another superb new roller from Maver. 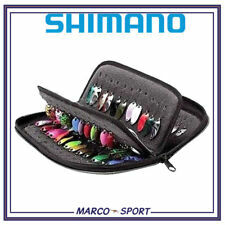 Supplied in a high quality carry case. One centralised upright roller. 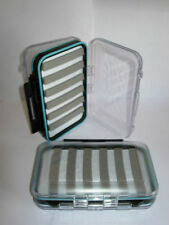 Includes high quality carry case. Poire d' Amorçage " Haute Qualité " Ø 6, 8, 10mm Carburant - Essence / Gasoil. Pour Tuyau adaptateur Ø 6, 8, ou 10mm. Poids 105g. Adjustable OffBox 36 SnapLok rotational arm. Preston Offbox 36 Deluxe Kit Safe. This is the ultimate top kit roost providing the angler with a highly versatile and stable solution to storing top kits and rods. Photo 1 non contractuelle, vous ne recevrez pas de canne à pèche dans votre colis. 100 pièces en laiton baril pivot broches anneau solide avec verrouillage pression. pour votre compréhension. Dans cette. recevrez une. vous quand les choses passent mal. cinq étoiles DSR Si vous achetez satisfaits de nous. We have watched this new trend and after a lengthy testing period we have decided to launch our D.I.Y. pole repair kit. • 1m x 150mm top quality carbon fibre cloth. Throughout testing many different resins this was the best available for this type of carbon fibre application. Le 01-avr. -19 à 13:21:48 Paris, le vendeur a ajouté les informations suivantes 1 Pcs Fishing Bucket. The real color of the item may be slightly different from the pictures shown on website caused by many factors such as brightness of your monitor and light brightness. And if you’re regularly casting spods, you need the Shimano Aerlex XTB 10,000 Spod, backed up by the Aerlex XTB Classic 10,000 for maximum performance on the largest waters and in the roughest seas. Without the ability to cast a spod right into the far margins, you’re just going to spook the fish to no purpose. 3 x Large Deluxe Green Padded Reel Bag Cases For Carp Pike Sea Fishing NGT. 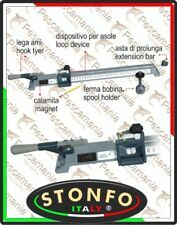 Con struttura in acciaio inox e anello in ceramica resistente all'usura, robusto e durevole. facile da usare. quantità: 8 pz (formato differente). Cette tresse ne flotte pas. Diamètre du Bout 12mm. Bobine longueur 150 mètres. Divisé en interne les grille multiple, peut contenir toutes sortes de crochets et autres petites épiceries. Il y a un petit oeillet sur le bord de la boîte, donc vous pouvez aussi attacher à votre manteau, sac etc. Elastic bait bands, fits for fishing baits from 3mm to 10mm. 2500 Pcs Rubber Bands. The real color of the item may be slightly different from the pictures shown on website caused by many factors such as brightness of your monitor and light brightness. Cette tresse ne flotte pas. Diamètre du Bout 8mm. Bobine longueur 200 mètres. Poids : 9640g. Si vous choisissez le. Protège contre l'humidité, la déshydratation et les petits rongeurs. Batterie pour bateau d'amorçage d'appât, echo sondeur. CSB GP 1272 F2. Fournisseur agréé des batteries d'origine pour les onduleurs APC et bien d'autres. Caractéristiques techniques . 10 # 3 canne à pêche guide. 10 # 4 canne à pêche guide. 10 # 5 canne à pêche guide. 10 # 6 canne à pêche guide. 10 # 7 canne à pêche guide. 10 # 8 canne à pêche guide. 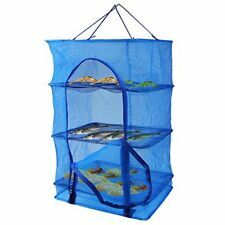 5 # 10 canne à pêche guide. The deluxe leather sun visor provides clear viewing in outdoor inspection and extra protection for the monitor. 30m anti-corrosion fiberglass cable for remote probing. Cable Length: 30m / 98ft. 12pcs adjustable LED lights to illuminate the hard-to-reach inspection area. Very functional! 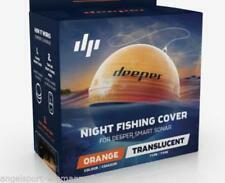 Ideal for the roaming angler. You simply hang your most popular lures in the front pocket of this shoulder bag; that makes changing the lure fast and very easy. On the side of the bag there is a holster for a pair of pliers. (Kits joint pompe a vers slim Alvey nouvelle generation. Kit de rechange joint de pompe a vers en Ø30mm ou Ø50mm. Possible de le faire en Ø50mm). Diamètre 10,5 mm environ, portée de 1,2kg/100 m t rès bonne résistance à la rupture 520kp fil traceur marron. 06 67 11 25 26. Casier 30 F2 livré avec 40 plioirs jaunes. Features:Alarm Design: Fish alarm design allows you to instantly capture the fish without watching the float for a long time.Function: With this smart fish finder, you can easily get the information about the depth and the condition of the fish depth scale and fish size distinguish, water temperature, fish and depth alarm,etc.Application: Also can be used at nightLED Display: White LED back light design for clear display at . 2 larges crochets de suspension non visible sur la photo. Gradué de 0 à 200kg. 1 peson "Salter's" de poche. 1 pince Gerber Suspension. Il comprend : un fourreau pour cannes et épuisette, une housse pour une bourriche, les sacs d'amorçage et un grand sac pour ranger les boîtes et accessoires. Housse pour bourriche, imperméable. Fourreau cannes. Fish killing bat "Terminator" fish club free shipping WAREHOUSE SALE!